​​​​​Victory Plumbing Sewer & Drain offers complete plumbing, sewer and drain services to residential homes and small businesses. 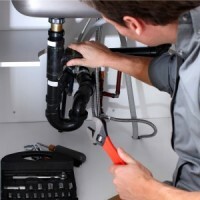 BBB A+ Rated Plumbing Contractor, earning community trust for over a decade. Victory Plumbing Sewer & Drain is your family owned and operated plumbing professional. Providing you fast, affordable, energy-efficient plumbing, sewer and drain solutions.